Sectors such as banking and financials, auto and auto ancillaries, capital good, engineering, infrastructure and materials are expected to do well once the economy picks up. Q: Were you surprised by the RBI leaving interest rates unchanged? A: Yes, indeed it was a surprise but a welcome move as well. The RBI has reiterated the need to look at the long-term sustainable picture rather than react to frequent data points. Q: Do you think the RBI is confident that the currency has become stable at current levels and even an external event like the US tapering will not have a major impact on the rupee? A: The RBI certainly sounded more comfortable and prepared for the eventual tapering scenario as also with the reduced volatility in the currency. The eventual impact of tapering will depend on a variety of factors such as timing, quantum and forward guidance of the US Federal Reserve. We believe that the world over, market participants are better prepared for the event now than earlier. 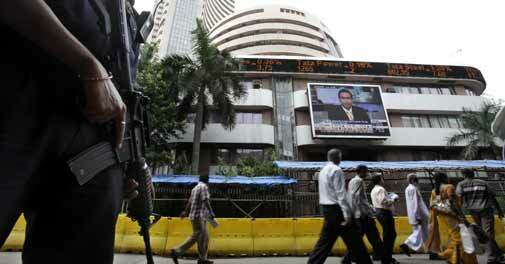 Q: The BSE Sensex rose one per cent after the RBI decision. How do you see the equity market reacting? A: We believe the market is factoring in a lot of concerns and uncertainty at this point of time. We expect the market to move decisively as and when the some of these uncertainties are over. Q: What will be the next trigger for the Indian equity market? And why? When do you see it coming? A: We like to focus more on the fundamental picture than on triggers. We believe that the economy is operating at the near-bottom and expect it to bounce back in the coming year. Q: What is your view on the overall corporate performance? Have the Q2 results been in line with your expectations? A. Corporate performance surprised in a positive way in September and we saw a number of upgrades post the results. The good part is that expectations are still guarded and hence there is still scope for positive surprises in some sectors such as banking and financials, auto and auto ancillaries, capital good, engineering, infrastructure and materials. As pointed out earlier, we are bullish on the economic recovery and hence all sectors related to that. We also like export-oriented sectors as we believe that global growth would also be strong in the coming year. Valuations make us take guarded approach on the defensives (consumers (durables), FMCG and pharmaceuticals) even though long-term picture still remains strong on those sectors as well. Q: In the current market conditions, are you a buyer? Where are you investing your money and why? A: Today 100 per cent of my money goes into equities. I am selectively buying banking, auto and auto ancillary and cement stocks and believe that this is the right time to build one's portfolio for the next economic recovery cycle.